All KOVASKY designs are flexible and stretchy. If you are between sizes, go with the smaller size if you like a form-fitted silhouette, or go with the larger size if you prefer a relaxed fit. Most high-fashion garments require dry-cleaning, ironing, and a lot of fuss, but not ours. We designed our high performance clothing line to be high function and low maintenance to make your life easier. Our fabrics are made with sustainability and ease of care in mind, all KOVASKY outfits are machine washable, quick-drying, and wrinkle-resistant. Dry cleaning is expensive, toxic, and inconvenient. Machine washing with cold water, on the other hand, is better for your clothes, better for the environment, and better for your wallet. Cold-water washing keeps colors from bleeding and delicate clothing from being damaged. In addition, about 90% of the energy used by a washing machine is used just to heat the water. By switching to cold-water washing, the average household can eliminate 350 pounds of carbon emissions a year. Preferably a non-toxic, biodegradable one. Increase the longevity of your garments, while minimizing the impact you have on the environment and on your health. Hang drying saves energy and reduces environmental impact. 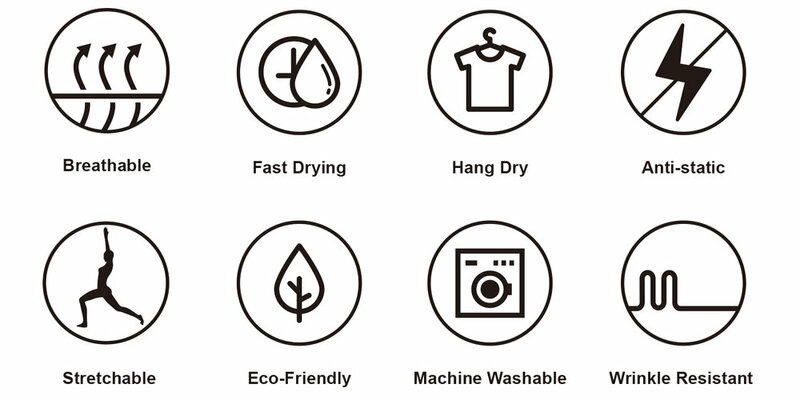 Our clothing is fast-drying, so hang drying is not only recommended, but preferred.